I’ve been working on a design for a client who is building a web application to operate at scale. Before I finalise the design I’m looking to get some review and comments from a wide range of people. Therefore I present an outline of a segmented front end load balancer design here and ask for your comments and questions to help clear out all the problems or find anything that I have missed. CapEx light – The business is startup and needs to keep capital spend within practical limits. Spend where necessary but avoid where possible. Scale Fast – the business plan calls for viral growth and needs the Internet bandwidth to scale exponentially in the first two years. Web Only – The company is web only and running a single application in the data centre across approx. 50 racks. Application – there is only one application developed and managed for this project by the client. This isn’t an enterprise data centre where no one knows what might arrive in the future, a niche design that matches the application is a practical solution. Also, the application may be changed (somewhat) to match the infrastructure requirements where costs can be justified and operating risk reduced. Security – security isn’t a top line issue but must be addressed throughout the design. Branding – I haven’t mentioned many names here, the final vendor & product decisions have not been made. Not that it matters at stage, the products and vendors are interchangeable in this architecture. In fact, appliances could be replaced by open source alternatives. In previous networks, I’ve experienced many problems with load balancers performance and operation. It is really, really expensive to buy a load balancer that can handle 40 Gigabits or more of traffic. Buying a redundant load balancer is a significant waste of working capital. The redundant unit doesn’t create revenue, only manages risk at the cost of complexity for HA functions. Buying 4 x 10Gbps load balancers costs 50% less than one pair 40Gbps load balancer but similar capabilities and better reliability. Configuring a single load balancers can be quite risky – one mistake and the entire site can go down. Upgrading a single load balancers in a HA pair is a nerve-wracking experience. Faulty code can cause serious business loss and it’s a “all or nothing” upgrade with very little risk reduction (other than buying even more expensive load balancers). 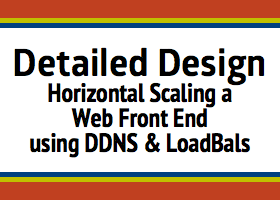 To address these concerns, I’m looking for a design that scale horizontally instead of vertically. 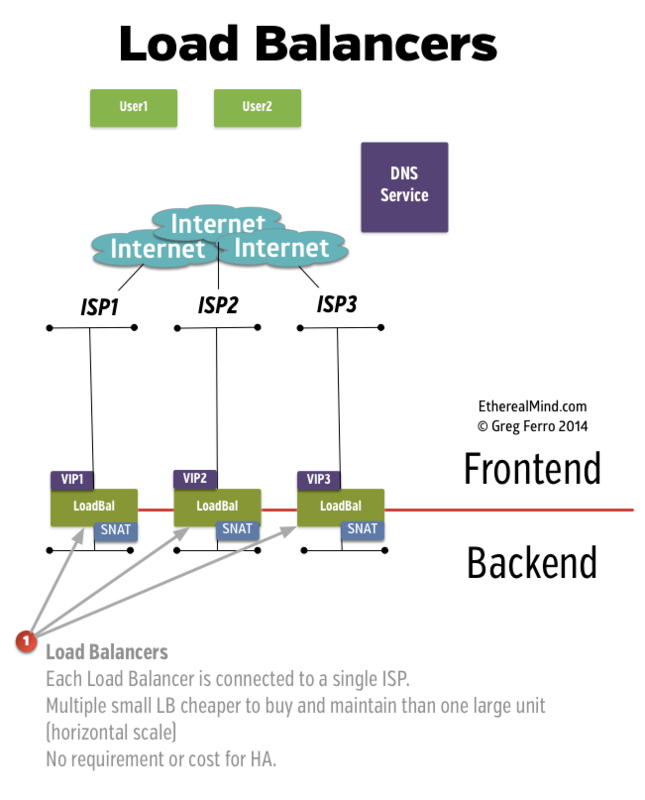 The diagram below shows 3 Load Balancer units as standalone units. Each Load Balancer is connected to a single ISP so that the load of one ISP connection is shared as part of the total. I would expect to develop scripts/automation to manage operational tasks across multiple devices. Since each device will have different VLAN IDs, IP Addressing, routing etc will need some level of automation. Product Selection – The final selection list was between A10 Networks and Brocade Load Balancer (was Riverbed). The market leader F5 Networks was too expensive after preliminary pricing ( 300 – 500% more). A web application needs many different criteria from web connectivity. multiple connections empowers the client to have a stronger negotiating position with providers. latency of user sessions will be improved by reducing path distance to user (requires DNS Load Balancing) Note: IP Anycast could be used but it is complex to monitor performance and operation. Another major concern is the IPv4 address exhaustion. The acquisition of Public IPv4 address allocation for even a /24 has become almost impossible. It is possible to purchase IPv4 range from broker but the costs are very high. A lack of IPv4 address could restrict business growth since the company is predicting exponential growth. 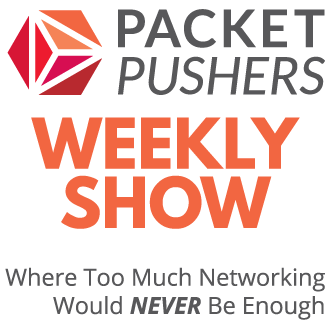 It’s possible to ask provider to allocate smaller range of IP Address per connection, typically a /28. This would avoid the require to own IP address. Those IPv4 address would not belong to the company and means that the network design must be independent of the IP Address. In a large data centre/co-lo facility , access to bandwidth is reasonably straightforward. Both 1GbE and 10GbE circuits are readily available but it remain desirable to load balance across different bandwidths. One use case is when a global product gains significant traction in a specific geography and it may be practical to purchase sub-rate gigabits per second on a 10GbE bearer from a specific provider to improve customer experience. In previous reviews of this design, engineers have highlighted the lack of front end routers with BGP for load balancing. When using BGP-enabled routers for Internet paths, control over the “client to front-end” path is close to zero and determined by external factors in the Internet. You cannot influence the path from client to server as this is determined by the BGP routing protocol and pathways in the Internet. Secondly, the capital cost of large physical routers to connect 100Gbps of Internet bandwidth is an enormous up front cost for zero business benefit (its not an investment just a cost). 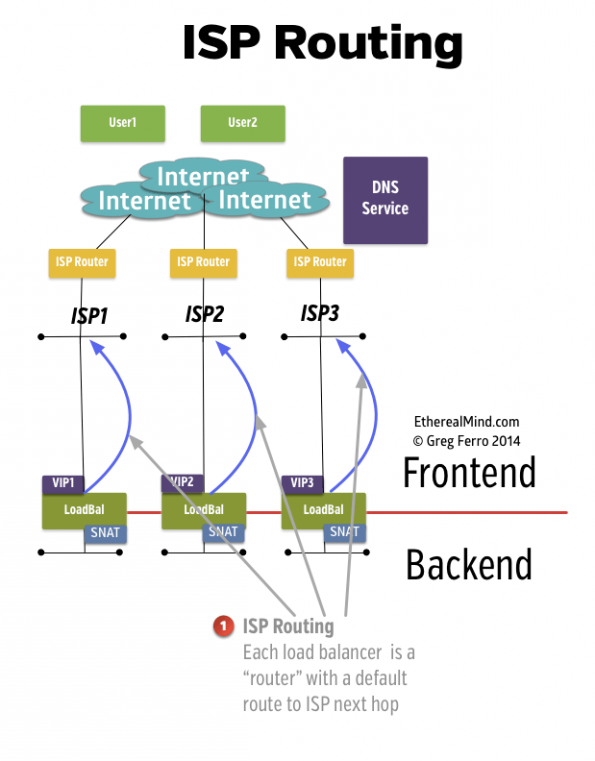 In this case, each load balancer is the “internet router”. This reduces the component count, simplifies the operation and scales horizontally as more bandwidth is added. Instead of purchasing one pair of very large hardware routers, I can consider using software OR hardware load balancers according to link speed. For certain load balancer vendors, you can run virtual instances on hardware in this mode. Some people recommend the use of the Cisco IOS routers running the Performance Routing (PfR) feature to monitor packet and network quality from Internet. While PfR is a good solution, the complexity of configuration and operation is serious drawback. Attempting to train a 24-hour help desk function on PfR is a serious challenge that requires a large and ongoing training investment. Discussions with colleagues and personal experience suggest Cisco PfR has been a poor experience due to bugs – a cost was associated with this risk. Overall, the use of DNS Load Balancing for a web application provides much greater control over the user to web server flow. It also allows for multiple data centre designs in longer term. Avoiding the capital cost is significant business benefit. There are other options for controlling the Internet. Companies like Thousand Eyes can give visibility and Noction has a monitoring and BGP route modification product. I haven’t yet discounted using these other solutions. Product Selection – the product short list was pre-owned Cisco hardware routers such as C6500 or C7200 routers because the simplicity of the connectivity. In the end, we did not purchase any routers because they were provided by the carriers as part of the service. DNS Load Balancing works by providing responding to DNS A Record Query with different IP addresses for individual client lookups. A DNS query will typically respond with two or more IP Addresses so that the client can failover between IP Addresses. Thus, User 1 would get VIP1, , User might get VIP 3 and so on across the available paths. A DNS Load Balancing function would use an algorithm to select the IP address allocated. The DNS response can return multiple IP address to the client so DNS Query could return the IP Address for VIP1 and VIP3 such that in the event that one pathway goes down, the client can rotate to the second connection. I’ve seen DNS queries for Google return up to 12 different IP Addresses and while I need to do some testing, I currently thinking that newer desktop, tablet and smartphone clients have improved DNS capabilities. At this stage, the recommendation is use a cloud service for hosting and managing DNS. The current DDoS attacks on DNS infrastructure mean that hosting your own DNS is impractical. Preventing DNS floods and preventing DNS reflection hijacks is a serious effort and could impact on the core business of running a web application. Therefore, DNS is expected to be outsourced. Customers can select from four service variants of Global Traffic Management: Failover directs requests to an alternate location when there is a failure at a primary site. The Failover solution can be used across disparate network carriers. IP Intelligence directs requests to a closest datacenter based on geographic or IP rules. Weighted customers can configure a fixed % of DNS requests to be routed to one of multiple data centers specified. Performance requests are directed as determined through multivariate policy rules featuring percentage-based load balancing and load feedback to allow for server specific load balancing within a datacenter. Performance Plus enhances the Performance version by deploying Akamai network agents at each point of origin to enable a datacenter-to-Internet viewpoint allowing for more precise decisions when directing end user requests. As should be clear, this is much more granular control that can be achieved with BGP for mid-sized content provider. The “Traditional Front End” design is of a better design for enterprises that need simple connectivity, redundancy and static IP Addressing for services such VPN concentrators. It’s not a good design for web services because it lacks granular control over flows. The result now is that the USER1 is connected to VIP1. The Load Balancer would analyse the available servers in the web pool and select one. The VIP on the load balancer are configured to use a SNAT pool. Hat Tip: Working at scale means that the size of the NAT pool is a major concern. A million concurrent sessions requires 32 IP addresses in the SNAT pool to ensure TCP port availability. In my view, one of the most significant weakness in the web front end is compromise, escalation and exfiltration. An external party will attempt to compromise a server and look to gain privilege escalation. The best method to restrict privilege escalation attack is to tight control the outbound traffic flows. 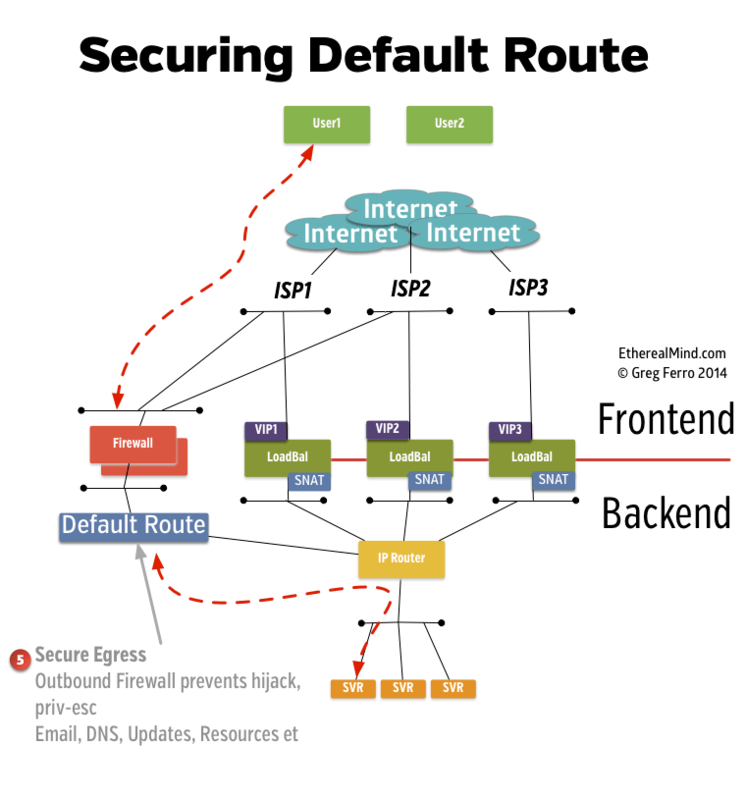 Web servers rarely need to make outbound connections to hosts on the Internet and should be blocked by default. In this design, the Source NAT translation on the Load Balancers leave the option to have a separate pathway for outbound Internet connections. In this network design, we are considering a mid-range Fortinet firewall for simple logging and control or a pre-owned Cisco ASA. The security value is derived from “deny any outbound” not from having any “clever & fancy security”. Keeping it simple makes it easy to operate and lowers the operational costs. The only outbound traffic should be explicitly named update servers, email hosts, DNS resolvers, and general administration traffic. This is a very useful method to enforce SSH Gateways in the server cluster and the firewall can be configured to prevent SSH Tunnels so as to control cowboy developers. The “IP Router” is, of course, some sort of Ethernet switching infrastructure with L3 routing. Server are connected to the switch core in the well known ways. The most likely solution here will target an L2/L3 ECMP implementation in the long term but probably use an MLAG implementation in the short term as the number of ports will start small and grow large. MLAG is popular to avoid the capital cost of chassis switches (big money). The Ethernet/L3 network does need to support a distributed storage system so East/West bandwidth and latency must be excellent otherwise the LAN is straightforward and simple enough. I’m looking for feedback on this design. A good design is one that has wide review and input, taken apart, put back together, and changed, modified and updated. Obviously I’m confident enough to publish the design here but I’d like to take questions and discuss any areas that I might have missed. That’s a great design Greg! The only question that springs to mind is about user stickiness to servers. Usually, load-balancers attempt to keep user sessions ‘stuck’ to the selected front-end web server for the duration. Without stickiness, the user could get load-balanced to another front-end web server when they click the next hyperlink and suddenly find that (for example) their shopping cart is now empty. This is because they filled it up when their session was connected to server-1, but they’ve just been load-balanced to server-2. Stickiness is achieved by maintaining dynamic tables of source-IP address to server mapping, or inserting cookies into the HTTP flow etc. But that all works only if the LB has sight of this state table. In your design, global DNS is used in conjunction with multiple stand-alone LBs and multiple ISP links. So the LBs wouldn’t have sight of each other’s state table. If the client suddenly selects a different IP address for the service for some reason (failure of an ISP link, timeout of local DNS cache or some idiosyncrasy of the client software), they could lose their session state. Perhaps your customer’s application doesn’t need stickiness? Or if it does, maybe all web servers know the state of all client sessions, so stickiness is solved in that way? (Although that sounds a bit of a tall order given the scale you seem to need to push this to). Otherwise this looks like a great idea. Your solution for preventing exfiltration is nice – thanks for writing this up. When a browser picks a new IP address in by definition creates a new TCP connection, so there isn’t state to lose at the network layer. Web application session state us another matter, but modern web applications typically opt for stateless designs where any server can answer any request. This is accomplished by storing state with the client itself in cookies or local storage (using authenticated encryption to prevent tampering). 2. reduce load on the application server – session state changes might be costly in terms of CPU on servers. But all of these reasons apply to legacy concepts of applications and most people don’t need to keep state on the load balancer any more. However….Many C# Windows Foundation Applications which are service driven will require state for most functions. If state is maintained in the application or a state machine on the hosting server, the loss of CPU performance can be significant resulting in the need for additional compute capacity. In my experience, App developers would rather transition state to the load-balancer in order reduce Application Development Costs, Time, and Complexity. 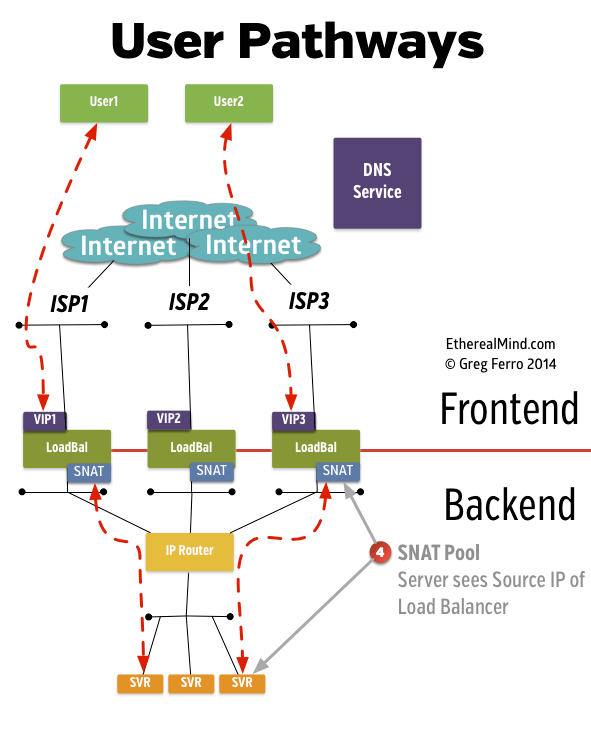 I did a few load balancer deployments (back in the day) and most of my customers had major heartburn over the SNAT designs. The network team was usually okay with it, but the application team pushed back because SNAT prevented the application servers logs from showing the actual client’s IP address. Inserting an HTTP header with the client address is one way around this, but could potentially come at a performance cost. I haven’t looked at load balancers recently, but L3/L4 forwarding was less computationally expensive than doing L7 operations. – you’re logging the NAT translations from the load balancers in such a way that the application team is comfortable with their ability to match real client IP addresses with back-end connections for troubleshooting and reporting. The X-Forwarded-For header can be inserted by any competent modern load balancer (I know that F5, Nginx, and AWS ELB can all do it) in order to carry the client source address through to the web server. I’ve never encountered a performance issue related to inserting or logging an extra header. Recent transfer prices I’ve seen aren’t too bad if you only need small blocks – e.g. you could get a /22 for < $10K USD. That's fairly negligible if you're talking about a 50-rack setup. Gets a bit ugly if you're an ISP and start needing larger blocks like /19, etc. Its not too bad today, but a company that plans to grow 100x but doesn’t have the upfront cash that is a problem. IPv6 …. where are’t thou ? I wonder if anyone’s done any modelling of where IPv4 prices will go? My pick is that they’ll go up from the current ~$8-$12USD per IP up to somewhere around $15-$20USD before dropping off rapidly. Suspect we’re ~3 years from > 50% IPv6 traffic, which will then lead to decline in v4 pricing. There was some risk that would happen. But now that mobile OS have all got IPv6 stacks that seem stable enough, you don’t need to implement CGN gateways which would have required large numbers of IPv4. The big cloud providers have already grabbed what IPv4 they can. I’m not sure where the demand will come from to push up prices – switching to IPv6 could be low cost enough that buying IPv4 isn’t worth it. great post and appreciate you letting us comment (good example of using collaboration to maximize results)..
Had a (fairly) quick read of the design (so I might come back with some other comments later on) but there are a number of items that jump out. – no mention of IPv6, although it is fairly trivial to do IPv6 to IPv4 in a load balancer (in full proxy mode) I’d definitely add something on this as more and more IPv6 is deployed (especially upcoming markets/countries only have IPv6 you might be missing out on some prospective customers). – already mentioned is the SNAT bit (and X-Forward-For) and stickiness (persistence) so I won’t go into them just to say that I think that you have a good solution setup (personal opinion). I would however suggest some additional details on the setup. personally I prefer seeing all public IP-space is terminated on the load balancers, any LB to webserver traffic can then use RFC1918 IP-space. If you are using multi-homed webservers this LB-WebServer IP space could be completely isolated in the DMZ (not announced to the internal network), WebServer to AppServer would use a different subnet and so on until you hit the backend…(to bad we can’t upload images which might clarify this a bit). I’ll spend some time tonight having a better read. Thanks again for letting us in on the review. We chose not to implement IPv6 in the first stage to keep the costs down. And the selected vendors were unable to give guarantees that their IPv6 was reliable and stable – sometimes because we chose used/2nd hand hardware with old software, sometimes because they just didn’t have mature IPv6. We expect to implement IPv6 as an operational upgrade after the first deployment is completed. Always a big fan of your posts! Probably I do not understand all of your design perspectives (I am sure they are really well thought out), one thing I suggest is to use Public Cloud as your front end. For example, through DNS load balancing, those AWS EC2 instances in different regions can be your DDOS security devices before legitimate web traffic is redirected back to your Private Cloud! Just a thought. Securing DNS is not _that_ hard. 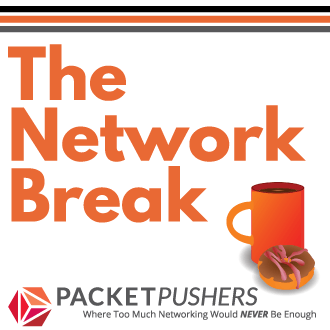 Good network practice, such as BCP38 will help you with reflection attacks. You should also consider the response rate limiting features added to BIND (if it’s your software of choice). That being said, self hosted or purchased as a service, DNS isnt the best primary load balancing technique. 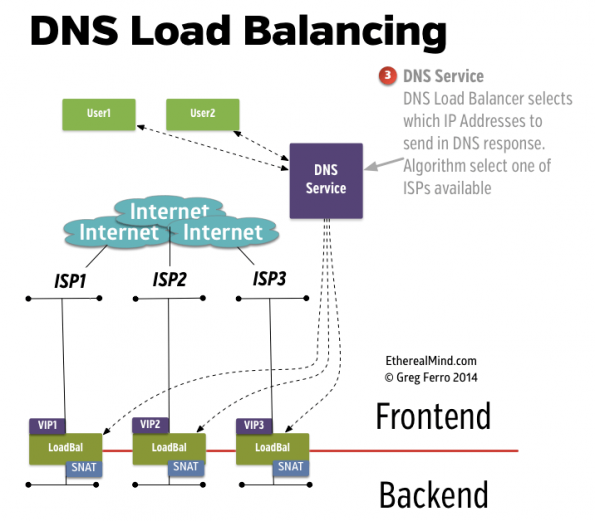 There’s really only two options for pure DNS load balancing and they both have their pitfalls. These two options pretty much apply regardless of the DNS software or solution you pick. Return only 1 IP address to the consumer. Which IP address and why can depend on the service and software, such as the geolocation of the query source (I’m sure Akamai’s is suitably fancy). But ultimately the result is the same. The consumer receives a single IP address that will not change until the TTL on the RR expires. Return all IP addresses. You can return those IP addresses in a set order to try and bias server selection, but that relies on the resolver behaving in a certain way and you can’t control that. Option 1 pretty much rules out effective DNSSEC (there are anecdotes of convoluted solutions that can get around the split DNS view issue, so you might get it to work), which rules out DANE and the future opportunities it offers for more securely protecting your web site. But not everyone cares. Option 2 offers much lower control over the the distribution of load, but it does provide a consistent DNS view. Neither option is particularly good at adapting to load and availability, since DNS doesnt care about those things. Dropping the TTL to low values will mitigate this, but not solve it. Many resolvers override TTL so YMMV with these techniques. 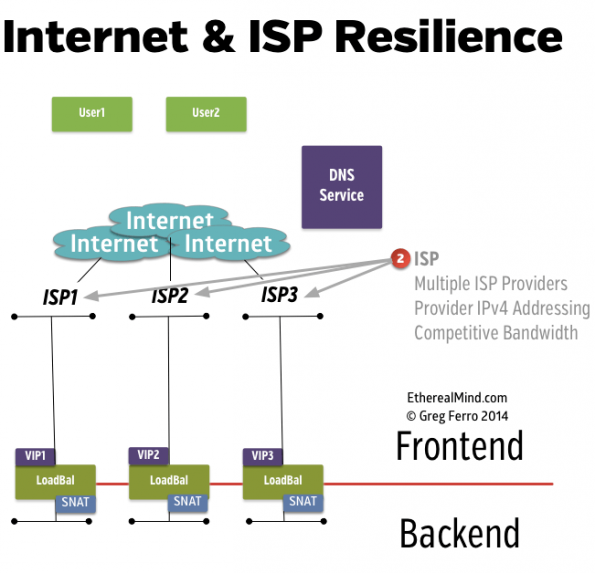 Having a load balancer dedicated to an ISP might make internet problems easier to diagnose and react to. Are all the clients connecting through ISP3 having problems? Tell DNS to stop handing out those IPs. Just in case you have to go back to running a BGP edge layer for whatever reason, keep in mind what Spotify learned — 95% of your customers sit in 10k of your routes (or something to that effect). Spotify went overkill and took a hatchet to the router OS, but you could accomplish the same thing more simply and still use a cheap TOR. Find a way to hand the devs a list of prefixes, let them figure out which ones they want to pay attention to, and then use that to build a prefix list periodically (every 24hr?). The list of all prefixes doesn’t necessarily need to come from BGP either. Grab it from ARIN’s/RIPE’s FTP server. It’s not perfect, but neither is BGP routing. Still, I think the existing design is better. A DNS service with an API is going to be much more familiar to a developer than BGP and asymmetrical routing issues. I think responses to external issues will be more predictable. Load balancers and servers will get faster, but you can still stick multiple load balancers on a single ISP and use DNS round robin or ECMP to get some more distance before you have to alter the design. Developers will also get the chance to try small-scale experiments, like writing their own load balancer w/ routing done the way they like. It can be tested on a single ISP fairly easily, no need to integrate with the existing load balancers. How do you address the exhaustment of compute resources in a server farm? Due the lag with TTL for DNS resolution, if a specific farm is over utilized, end users could be effect with sub-par performance due to choosing the Load Balancer which server farm is at or near exhaustion.